Human Rights barrister Adam Wagner has said that Brexit has people “frothing at the mouth” from both sides of the vote, as 1,400 senior lawyers sign a letter calling for MPs to back a second EU referendum. Mr Wagner, one of the lawyers, told talkRADIO’s Matthew Wright: “It has become a very polarising issue and like all polarising issues it turns people against each other. “It makes people froth at the mouth a bit on both sides. “But ultimately, there are some pretty straightforward facts that we can look at. “One of them is that there was widespread cheating in the EU referendum campaign, which broke electoral law. 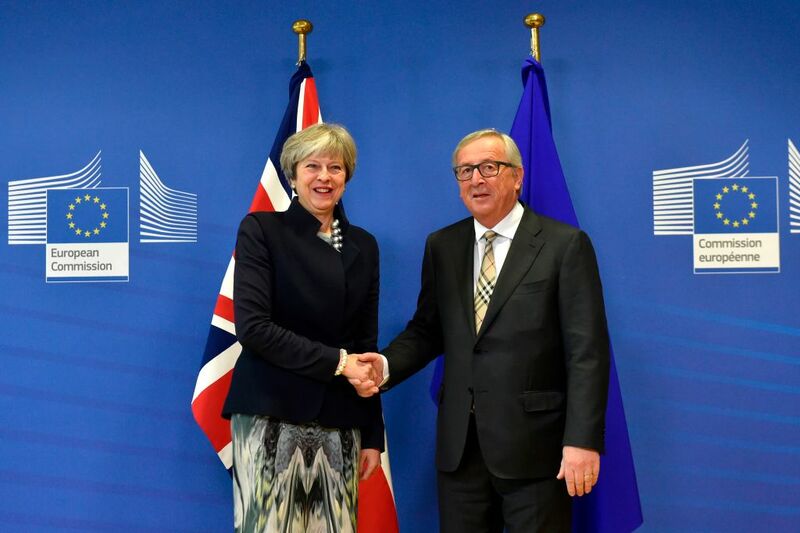 Prime Minister Theresa May with European Commission President Jean-Claude Juncker. In a letter to Mrs May the lawyers argued that Parliament should not be bound by the 2016 vote any more than it should be by the 1975 referendum that took Britain into the EU, especially when there are question marks over its validity. Mr Wagner added that there was nothing wrong with having a second referendum. “I suppose the point is to look at the argument, not who is making the argument,” he said. “I am not saying the British public should trust lawyers all the time, god forbid. “But, I think the arguments are sound. As the letter says nothing is frozen in time. “Parliament is ultimately responsible for keeping the country running in a way which is best for most people. “That is what it is there to do and there is no doubt in almost anybody’s mind that the parameters have shifted since we voted to leave by a very narrow margin. “We have got the basics of a deal, and a no-deal, on the table and I am not sure people necessarily still want that.